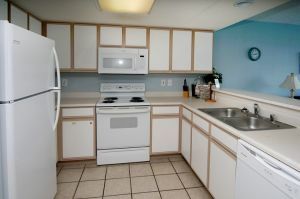 Treat yourself to a two bedroom condominium in a popular North Myrtle Beach resort in the Crescent Beach section of North Myrtle Beach, South Carolina. 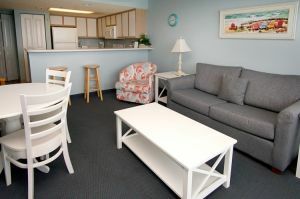 Baywatch I 808 is located in the Bay Watch Resort and is an oceanfront North Myrtle Beach condo rental. The two baths are convenient. 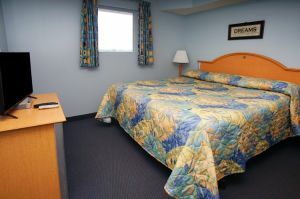 Everyone is nicely accommodated in this oceanfront condo rental. 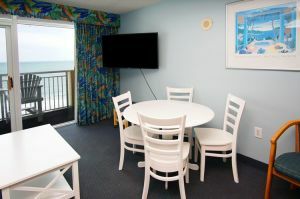 From the kitchen that is well equipped with dishes and cookware to the comfortable living room that is good for visiting and playing games with the family, Bay Watch I 808 is an oceanfront condo that is a favorite among North Myrtle Beach visitors. The private oceanfront balcony has an incredible view, so grab your camera and take a peek at the postcard-perfect vista from Bay Watch I 808. 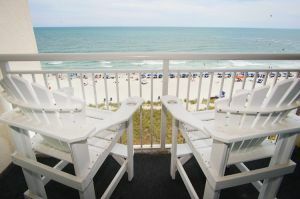 Look down below to all three of the Bay Watch Resort oceanfront pool decks. The trio of water playgrounds overlooks the sandy beach and gives guests a plethora of choices for spending the day on site. Take a dip into the refreshing swimming pools, both indoors and out at this oceanfront resort in North Myrtle Beach,South Carolina. Enjoy soaking in the oceanfront hot tubs and pick out an inner tube for a relaxing ride on the lazy river. 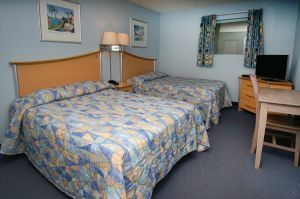 Bay Watch Resort is a smoke-free destination with an on-site game room, fitness center and restaurant. 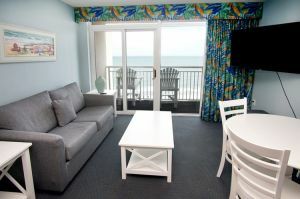 North Myrtle Beach, South Carolina golf courses, fresh seafood at local restaurants and great seats at a Myrtle Beach theatre where singing and dancing productions will have you stomping your feet are all nearby this oceanfront resort. Ride a banana boat, take out a jet ski, or catch your dinner off the Cherry Grove Pier because all of these options are within easy reach of Bay Watch I 808. Departure maid service is required.